There are many different elements to take into account when it comes about a home design or building design. Although the appearance of a building is important, there are several other things that matter, like the functionality of the facilities, the correct use of the space or the environment. As you see, it is not only about choosing between contemporary architecture or a rather traditional one. If you are carrying a construction project for yourself, we highly recommend getting in contact with an architectural consultant who will advise you about everything, from interior design to landscaping. There are plenty of architecture firms in Sydney that are well prepared to design the architectural plans that better fit your needs. Apart from the chief architect and his team, there are specialized professionals offering architectural engineering, architectural microservices or interior architects, for example. The first thing to do is getting to know yourself, your tastes and preferences. 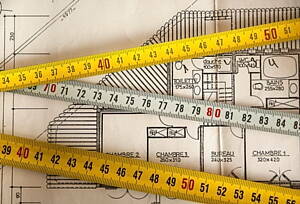 You need to be sure about what you want to achieve with this project so you can accurately share it with the architect. Look for references. It is always good to ask friends and relatives. Also, if there is a particular house or building whose design you like, ask the owner about the architect and their experience. Look for someone who is comfortable solving problems. Experience is key. Get to know their previous works, ask for their architecture portfolio. Ask them about the way they will face the project and the possible obstacles that may come up. Ask about the costs and payment methods. Do they can recommend other professionals like a good contractor. At Infoisinfo we always work hard to be able to offer you the most useful information possible so you can easily find the best products and services for you and your company in Sydney. We want you to obtain the best results possible for your new home, whatever architectural styles you are interested in. Therefore, we have prepared a list of the best architectural services in Sydney for you to choose from. Get in touch thanks to the contact details available on our website like for example, phone numbers, address, websites and opening times. In addition, you can have a look at comments and valuations from other clients to get a better idea about the architects. 3, Se 3, 2 Coombe St, Rosebery. Sydney. NSW, 2018. 59 Buckingham St, Chippendale. Sydney. NSW, 2008. Se 118, 26-32 Pirrama Rd, Pyrmont. Sydney. NSW, 2009. Suite 60, 20-28 Maddox St, Alexandria. Sydney. NSW, 2015. 7/100 Penshurst Street Willoughby. Sydney. NSW, 2068. King St, Sydney. Sydney. NSW, 2000. Suite 100, Jones Bay Wharf, Pirrama Rd, Pyrmont. Sydney. NSW, 2009. L 2, 3-11 Eden St, Sydney. Sydney. NSW, 2000. 2, 17 Kellett St, Kings Cross. Sydney. NSW, 2011. Suite 802, 32 York St, Sydney. Sydney. NSW, 2000. 4A Begglane St, Paddington. Sydney. NSW, 2021. Marlborough House, Suite 56, Level 5, 61 Marlborough St, Surry Hills. Sydney. NSW, 2010. Unit 3, 52 Queen St, Beaconsfield. Sydney. NSW, 2015. L 5, 70 Hindmarsh Sq, Sydney. Sydney. NSW, 2000. Opera House, Bennelong Point, Sydney. Sydney. NSW, 2000. Level 4, 52-58 William St, Sydney. Sydney. NSW, 2000. Se 65, 20-28 Maddox St, Alexandria. Sydney. NSW, 2015. 402, 410 Elizabeth St, Surry Hills. Sydney. NSW, 2010. 19 Lombard St, Glebe. Sydney. NSW, 2037. 86 Wyndham Street, Alexandria. Sydney. NSW, 2015. Welcome to McKenzie Song Associates. We are a Sydney based architecture, building design and landscape design firm that specialises in Family Homes. 3 Valley Park Crescent. Sydney. NSW, 2074. Unit 1, 414 - 440 Dynon Rd, Alexandria. Sydney. NSW, 2015.